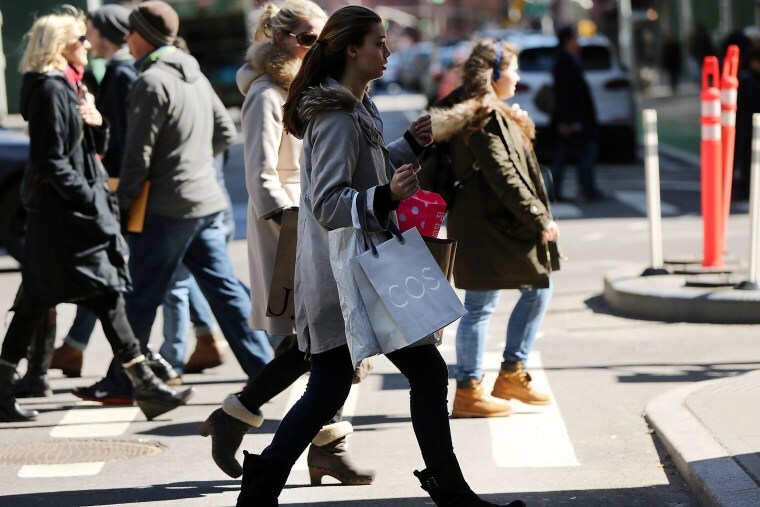 WASHINGTON -- U.S. consumer spending rebounded in November after a weak showing in October, while a key inflation gauge posted the fastest year-over-year increase in 11 months. Spending increased 0.3 percent in November after an essentially flat reading in October and a 0.2 percent gain in September, the Commerce Department said Wednesday. Personal income rose a solid 0.3 percent in November, reflecting solid gains in wages and salaries, after a 0.4 percent October increase. Economists are predicting that further improvement in the job market will support consumer spending in coming months. A key inflation gauge was up 0.4 percent in November compared with a year ago, the biggest year-over-year jump since last December. Inflation is being closely watched by the Federal Reserve to determine the pace for hiking interest rates. The Fed boosted a key rate for the first time in nearly a decade last week by a quarter-point to 0.25 percent to 0.5 percent. Fed Chair Janet Yellen said that the Fed will be closely watching progress in meeting the Fed's 2 percent inflation target to help determine the pace of future rate hikes. Many economists believe the Fed will raise rates three or four times in 2016. The 0.4 percent year-over-year increase in the inflation gauge tied to consumer spending came after a 0.2 percent yearly rise in October. It was the biggest 12-month jump since a 0.8 percent increase in December of last year. Yellen has said that she expects overall inflation to move up in 2016 as the favorable effects of last year's big declines in gasoline start to fade. Outside of food and energy, core inflation was up 1.3 percent in November compared to a year ago, the 11th consecutive month core inflation has recorded a 1.3 percent yearly increase. The personal saving rate edged down to 5.5 percent of after-tax income in November compared to 5.6 percent in October. The data on consumer spending was inadvertently released by the government on Wednesday, ahead of the scheduled Thursday release time. The Bureau of Economic Analysis, the Commerce agency which produces the spending report, said it would take steps to guard against future early releases of sensitive data. The overall economy, as measured by the gross domestic product, grew at a moderate 2 percent rate in the July-September quarter, the government reported Tuesday. Many economists believe growth will be around that level in the current quarter and then will accelerate a bit in the first half of next year. They are expecting continued solid gains in employment will boost incomes further and propel increased consumer spending.